I love watching (and critiquing) the Grammys, and like many of you, I’ve been fortunate to be invited to the ceremony many times over the years. This years show was obviously the most anticipated because of the devastating, sad passing of Whitney Houston. However, the following is one of the many behind-the-scenes stories that folks shared with me over the weekend—one that didn’t make it to the front page of HUFFPO or the prime time of CNN. Imagine the scene at the Staples Center in Los Angeles on the day before the Grammys. It’s only 19 hours until show time and the giant indoor arena is now filled with hundreds of production workers in a melee of organized chaos: lighting crews, grips, sound engineers, camera operators, set carpenters, painters, choreographers, costumers, etc. Plus, scripts are getting the final edits, teleprompters are being tested, camera angles are being set, cues from audio techs are getting locked in, and artists are right in the middle of rehearsing and perfecting their precious 3-minute segment. Nothing but excitement and enthusiasm fills the room. Suddenly the news about Whitney begins to spread through the entire arena and the mood quickly changes. First question on every ones mind, “how will this affect the show?” (Of course across town there’s another drama unfolding at the Beverly Hilton Hotel, which is being broadcast on nearly every network.) 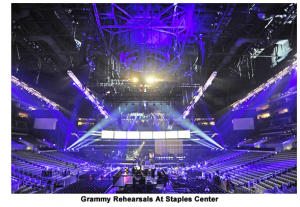 However at the Staples Center the big question still remains, “how is this going to affect a LIVE telecast with 25 million viewers?” At this point the CBS suits and the Grammy brass collide (behind closed doors, away from the press) on what to do next. The big question: “How do we insert a heartful and acceptable “tribute” to Whitney into an already tight schedule, without offending anyone or concerning the advertisers at this late date? 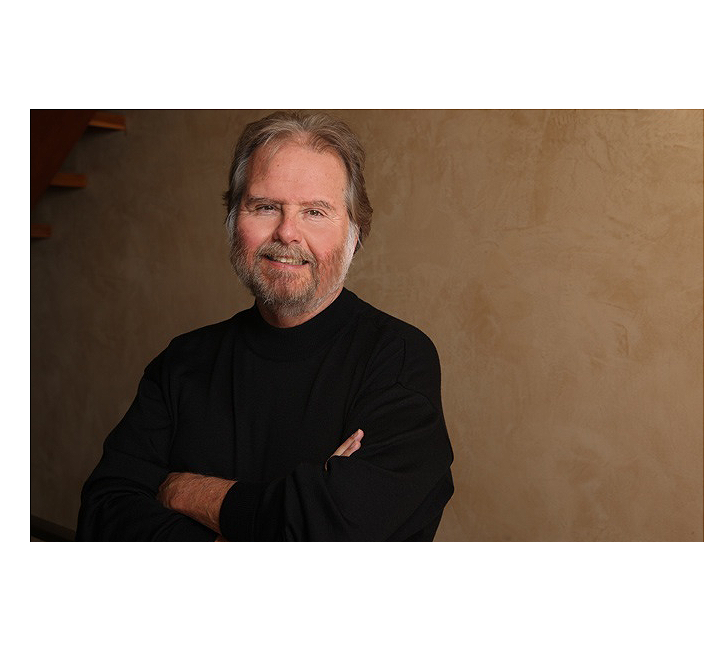 Plus, they were missing the reliable proven leadership of John Cossette who produced the previous 20 Grammy telecasts, and sadly passed away earlier this year. So who did they turn to when the challenge got big and the risks got huge? The “Creatives” that’s who! The writers, performers, musicians, sound engineers, designers, editors, producers, programmers, etc. They were the ones who had to work together (through the night) to re-write, re-light, re-direct, re-time and re-invent the broadcast to accommodate the sudden challenge of the tragedy. Thank God for the talented, creative artists, because the VP’s, CEO’s, financiers, advertisers and investors cannot produce a movie, a record, a book, a television commercial, or a Grammy telecast without them. But that’s what the “creative pros” in this business do. When the challenges arise, the first thing they naturally do is access the field of ALL possibilities. It’s in the DNA of all creative types; they live for this kind of moment! Those that don’t understand call it “winging it,” but it’s not that at all. It’s really innovation at its best. Turning dross into gold, lemons into lemonade. If there were a rule book for these sorts of calamities, the suits would surely follow it. But there’s not. It was the creative, crazy geniuses (many employed by both the Grammy organization and CBS television, and many of whom are my readers), who had to pull a rabbit out of a hat on Sunday. And given the unique emotional circumstances, I think they pulled it off beautifully. Isn’t this why we’re attracted to this business in the first place? Because deep down inside we thrive on the risks, the uncertainty, the pure creativity. Heck, to the pro artist & entrepreneur EVERYDAY is a Live TV show! That’s why it’s good to remind each other every so often, that as artists & entrepreneurs, when a huge challenge suddenly steps out on to the path in front you, (whether it’s suddenly re-writing a live 3-hour TV show, or figuring out how to pay your rent), you have the gift of creativity and invention. And while others frantically search for an imaginary rule book, the pro artist & entrepreneur confidently uses imagination, ingenuity and intuition to access the field of all possibilities.